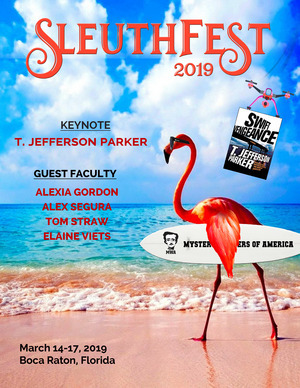 Every year, attendees—established authors and new ones alike—tell us that Sleuthfest is one of the most valuable experiences of their writing lives. Every attendee gains valuable insight and feedback, and some depart having gained an editor or even a publishing contract! From forensics to craft to the business of writing and publishing, the Sleuthfest program is replete with events, workshops, and lectures that will give you the tools you need to write, polish, and get your stories into readers’ hands. Give yourself the experience of a lifetime at Sleuthfest. REGISTER NOW!